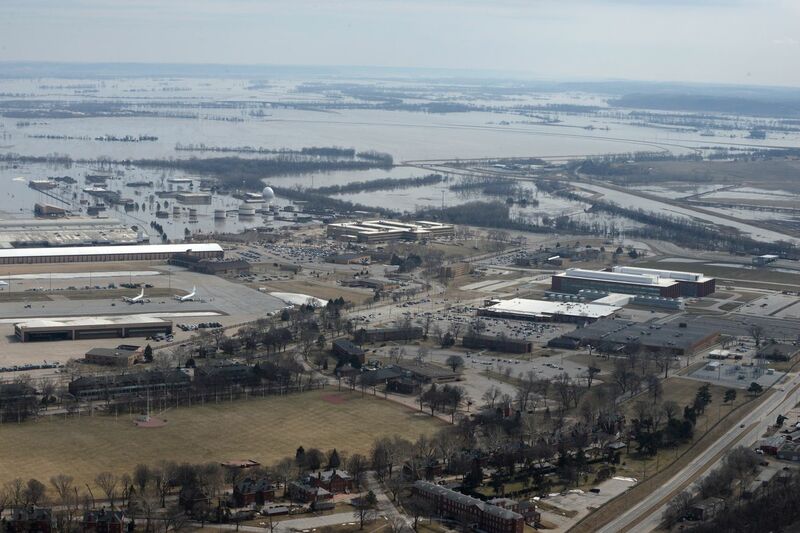 Catastrophic flooding in Nebraska has wiped out roads, overtopped dams, and left at least a third of the Offutt Air Force Base submerged, highlighting the ongoing threat that extreme weather poses to both people’s lives, and national security. A massive winter storm created a “bomb cyclone” over parts of the country last week, and dumped snow and rain on Nebraska. Rain slicked off frozen ground, snow melted, and ice thawed on rivers — kicking off devastating floods that killed at least two people in the state and destroyed hundreds of homes. “This was a monster, no question about it,” Greg Carbin at the National Oceanic and Atmospheric Administration’s Weather Prediction Center told the Omaha World-Herald.